The interest among young people in farming has declined significantly in recent decades. The reasons are varied. Farmland ownership in fewer hands, with many thousands of small farmers squeezed out. The stresses and uncertainties of a career so highly dependent on the whims of nature. The lure of a more exciting life in the big city. These and more prompted many young people to decide there was a better way to make a living. But the longterm impact of this trend has become sharply evident, and it is putting our entire food system at risk. The U.S. Department of Agriculture reports that the average age of farmers in America is roughly 60. 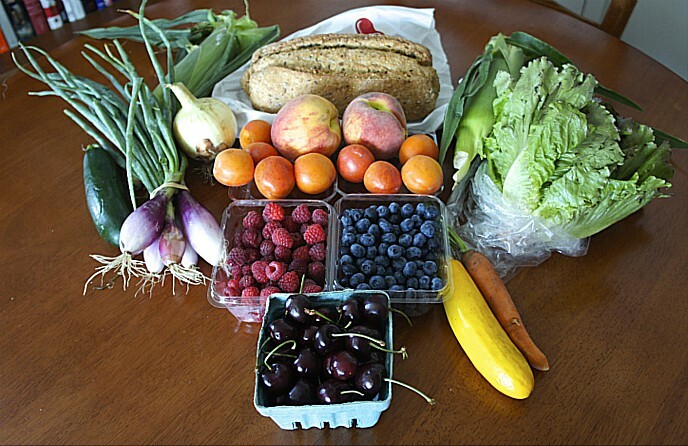 There is thus an urgent need to cultivate a new generation of farmers, and organizations in the Good Food sector such as FamilyFarmed devote much of their energies toward this goal. Fortunately, there is significant evidence that more young people are interested in staying on the farm, or going into this area even without previous farming background. 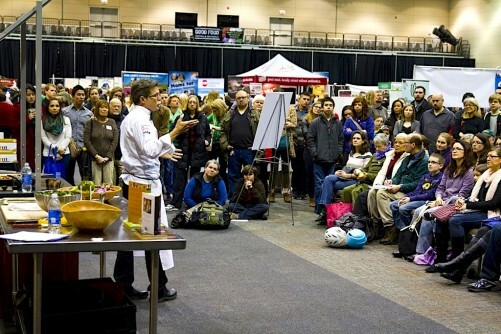 Many of them are motivated by a desire to bring the goals of the Good Food movement — for a healthier, more environmentally sustainable and more economically dynamic U.S. food system — to life. That is why FamilyFarmed’s Good Food on Every Table website is launching a new series titled “Growing Young Farmers.” This series will provide a platform for members of this new generation to discuss why they have chosen farming, the opportunities that motivate them, and the challenges as well. We could not be happier to kick off the series with the following piece written by Kara Gunthorp of Indiana’s Gunthorp Farms. Kara, who is 22 years old, returned to her family’s farm following her recent graduation from Purdue University to work with her father Greg Gunthorp. Since the 1990s, he has been an innovator and advocate in the area of sustainable livestock production. 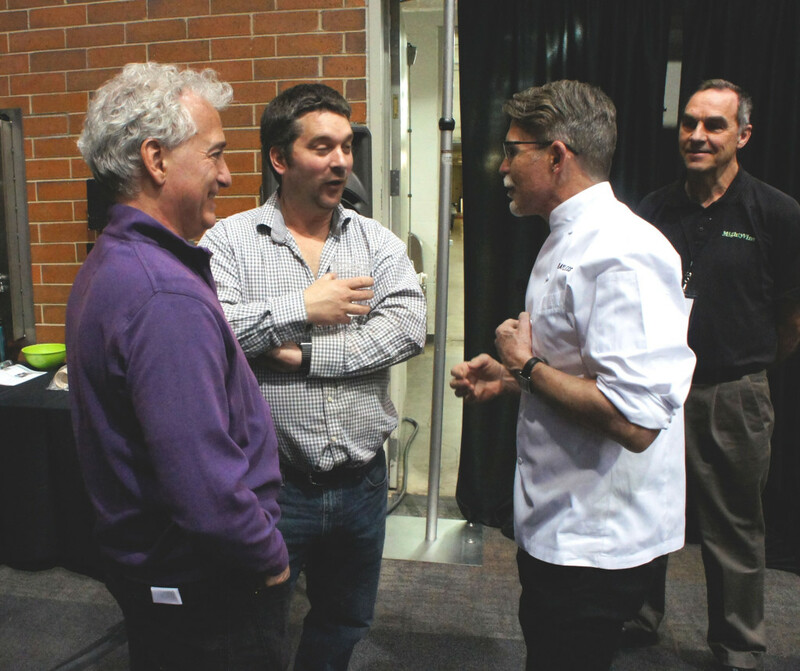 His leadership has made Gunthorp Farms a major supplier of sustainably produced meat for restaurants in Chicago, such as Rick Bayless’ Frontera group, and in Indianapolis. Three months ago, I walked across the stage at Purdue University in my home state of Indiana, took my diploma — and began my adventure as a full-time employee at Gunthorp Farms. My family’s farm, where I grew up, learned about farming, and decided I too wanted to make it my career. This essay is not to tell you what all I’ve learned, but instead to give credit where credit is due: to Greg Gunthorp, my father. And believe me, this is long overdue! So here I am, citing my source for all of my accomplishments and knowledge thus far. Greg Gunthorp is a pioneer in the sustainable agriculture movement in general, and sustainable livestock production in particular. Greg also grew up on this multi-generational farm in LaGrange, in northeast Indiana, and he too graduated from Purdue, in 1990. But unlike most of the farmers of that time, he broke free of the industrial chains that were tightening on American farmers. In 1998, when prices crashed, some farmers were choosing to shoot and bury their hogs instead of selling them for 5 cents a pound (or less if you had to transport them very far). Greg found a way to keep his hogs. No matter what problems he faced, he took it upon himself to create a solution. Lack of federal processing facilities? He built his own. Lack of industry and government support for “little guys?” He became their voice everywhere he went, whether that was by sitting on President Bill Clinton’s Small Farm Commission on a national level, or fighting for small processors’ ability to slaughter chickens here in Indiana. Lack of finances? He did not cry out for subsidies or government assistance, but instead devoted every hour of every day into the business. 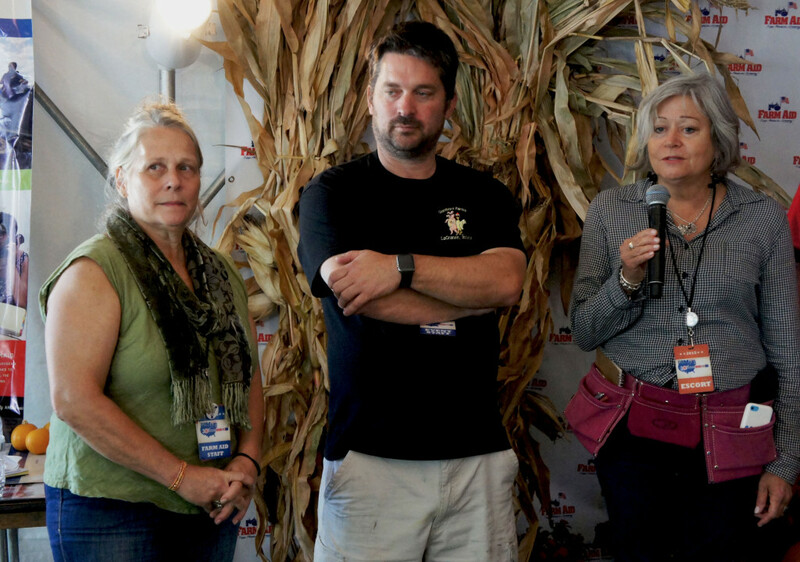 It is not easy to challenge the norms of the “conventional agriculture” system, and there are a lot of farmers and individuals in the ag industry who do not like Greg even though they have never met him. This became apparent to me throughout my time at Purdue, from small remarks at the dinner table and in classes to almost full-blown arguments at the bar. What most do not realize is that the biggest things Greg stands for are rural development and paying farmers what they deserve. I do not see how anyone can be upset with that, no matter what your production practices may be. Greg Gunthorp is my mentor, role model, and also my dad. I might be biased, but how could I not be extremely proud of him? He built a company (actually three companies) from the ground up, centered around his morals and values, during a time when no one in their right mind believed what he was setting out to do was possible. He built a company that not only is self-sustaining — so neither of my parents have to work offsite to pay for the farm or support our family — but also is now employing myself, my brother, my sister, 20 other fulltime employees, and at least 10 part-time employees. 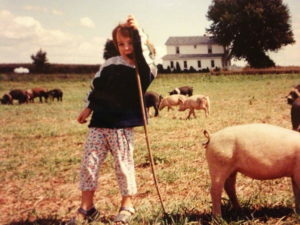 Kara Gunthrop shared this photo of her hanging with the hogs when she was a little girl. She says that she and her siblings helped take of the chickens on the farm from a very young age. 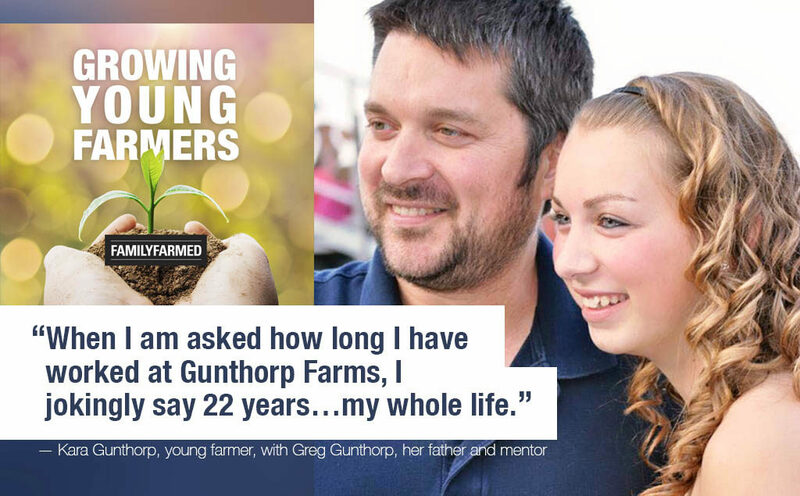 When I am asked how long I have worked at Gunthorp Farms, I jokingly say 22 years… my whole life. My siblings and I have always been in charge of feeding the chicks in the brooder barn. When Dad needed help, he would call on us. We were expected to help, but it was never “expected” of us to return to the farm. Dad wanted it to be our choice if we did come back. When I left for Purdue, I did not know what I wanted to do as a career. I attended the career fairs with my fellow classmates but only walked through half-heartedly. No matter what booth I stopped at, all of them lacked a sort of passion that I so desperately needed. At the time, I told myself that I would know the right job when I found it. In the meantime, I discovered the concentration “Food Marketing,” which put me in classes such as sales, food science, and marketing. Class after class, my head was filled with thoughts of how I could apply what I was learning to Gunthorp Farms. 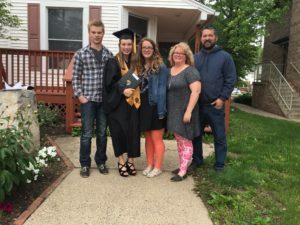 Kara Gunthorp and her family celebrated her graduation from Purdue University in May. She began fulltime work in sales at Gunthorp Farms immediately after. Photo provided by Kara Gunthorp. When I announced I wanted to take over sales at the farm, I got the impression that Dad already knew that was the path I would end up on. 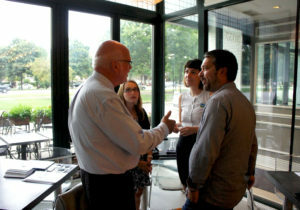 I have attended numerous events with Greg in my lifetime. After every event, I have people approach me and tell me, “Your dad is so amazing.” Yes, he definitely is. He has a passion for what he does that is unmatched by anyone I’ve ever met. Many people will search their whole life for a mentor who is as passionate, knowledgeable, and willing to teach as Greg, and yet here I am, lucky enough to have met him 22 years ago. Not only has he shaped who I am in a personal sense, but he has also instilled in me a passion for agriculture (and for Gunthorp Farms) that no other company or job offer could match. I am so excited to dive deeper into my journey with Greg, with Gunthorp Farms, and with sustainable agriculture as a whole. I hope that with the help of Greg, I can become a voice for the small farmer and for rural advocacy like he has become. I also hope I can help share Greg’s knowledge that would otherwise be wasted on just me as the only member of his audience on our drives to Indianapolis and Chicago. This entry was posted in Direct Farm Marketing, Family Farms, Farm Aid, Farm businesses, Farm to table dining, Food activism, Food Entrepreneurs, Frontera Farmer Foundation, Good Food and economic development, Good Food Dining, Good Food Festivals, Good Food Success Stories, Good Meat, Growing Young Farmers, Livestock farming, Local Food, Meat, Organic farming, Poultry, Restaurants and Good Food, Small Farmers, Young farmers and tagged Community Dining, FamilyFarmed, Frontera restaurant group, Greg Gunthorp, Growing Young Farmers, Gunthorp Farms, Purdue University, Rick Bayless, sustainable livestock production, sustainable meat, Young farmers. Bookmark the permalink.